Whitley Collins is Global President of CBRE's Advisory and Transaction Services | Occupier business line and a member of the company's Global Operating Committee. Advisory & Transaction Services | Occupier brings together CBRE’s Occupier Brokerage (Office, Industrial, Retail and Data Center "tenant-rep"), Global Workplace Solutions (“GWS”) Transaction Management and Advisory Services (Workplace Strategy, Labor Analytics, Location Incentives, Location Analytics, Supply Chain and Logistics, Portfolio Optimization, Lease Administration, Retail Analytics, Healthcare Analytics, Financial Consulting, Corporate Capital Markets and Occupier Research) into one global business. 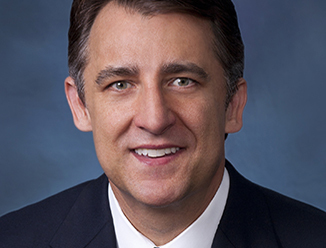 Prior to rejoining CBRE in 2011, Mr. Collins led the Los Angeles region for The Staubach Company from 2005 to 2008 and later for Jones Lang LaSalle from 2008 to 2011 (following the acquisition of The Staubach Company in 2008). From 1986 to 2005, Mr. Collins was a tenant-rep broker for CBRE in Los Angeles. In 2003, Mr. Collins received CBRE’s William H. McCarthy Award, the company’s highest honor that signifies a commitment to integrity, teamwork and professional excellence.